Dragons Forever is the final film starring the illustrious "Three Brothers," the trio of Jackie Chan, Sammo Hung, and Yuen Biao. 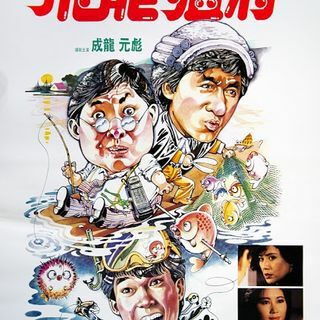 The film follows Jackie Chan as a Hong Kong lawyer who is hired by a sleazy chemical company to try and discredit a lawsuit brought against them by a fishery for polluting the water. Jackie must figure out what the company is actually up to with the help of his two friends, a arms dealer, and an inventor, along with trying to stop himself from falling in ... Más informaciones love with the prosecutor's key witness. The Projection Booth's Mike White joins Chris and Eric to talk about the final ride for the Three Brothers along with some poorly translated subtitles.